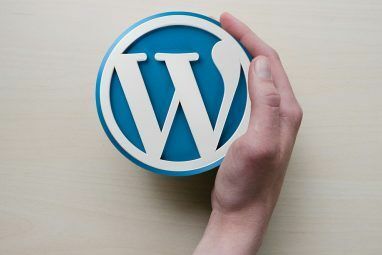 Without a doubt, for a self-hosted blog, WordPress is the best blog CMS that you can get. However, being a popular and open source software, it also means that hackers have full access to the code which they can scrutinize to find any exploits they can use to hack into any WordPress-enabled site. 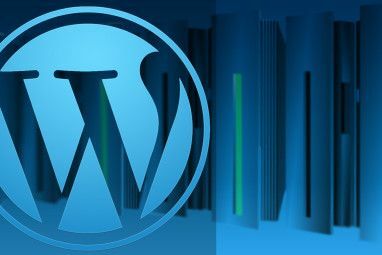 On the good side, one of the best things about WordPress is its plugin system that allows anyone to install any plugins or create your own plugins to extend its functionality, including improving security. Here, I have listed some wordpress security plugins (and a couple of tricks) that you can use to secure WordPress blog. All the plugins and tricks listed below are meant for WP 2.7 and above. If you are still using an older version of WordPress, it’s time to upgrade your blog. This plugin uses the CHAP protocol to encrypt your password. The password is first salted with a random number (nonce) generated by the session, followed by the md5 transformation algorithm. This result is then sent to the server where it is decrpyted and authenticated. This is a zero-configuration plugin, which means you can use it immediately after activating it. Login Lockdown is useful in preventing a brute force attack. What Login LockDown does is to record the IP address and timestamp of every failed login attempt. If more than a certain number of attempts are detected within a short period of time from the same IP range, it will lockdown the login function and prevent any people from that IP range to log in. This plugin adds an additional HTTP authentication to provide a second layer of defense for your blog. You can set up password protection for your blog using HTTP Basic Authentication, or you can choose to use the more secure HTTP Digest Authentication. Note that this plugin might/might not work depending on your server capability. If your site does not pass the AskApache configuration tests (the tests run by the plugin to detect your server capabilities), contact your web host and see if they can make changes on the server side. Perhaps for some of you, backing up a database could mean a troublesome technical chore. With WP-DB-Backup, you just need to configure it once and get it to run automatically at regular intervals. What this plugin does is to automate the backing up of your database and have it sent to your email inbox. Other than the default table created by WordPress, you can also backup custom tables created by plugins. In the event that your account crashes, you can easily import and restore the database with the backup. Wp-DBManager is just like a phpmyadmin within your dashboard. You can easily manage your database directly within your dashboard. There are useful features such as optimizing/repairing/backing up/restoring your database and if you are technical enough, you can even run your own SQL query from the option page. On the bad side, if any hackers manage to login to your site, this plugin is going to be a gateway for them to create havoc in your database. The default prefix used by WordPress is “wp”. You can easily change the prefix to other terms that are difficult to guess using the WP-Security-Scan. More detail on this plugin below. to prevent anyone from viewing the wp-config.php file. This plugin forces SSL on all pages where passwords can be entered so that all information transmitted are encrypted. One thing though, you have to own a SSL certificate before you can do it. If you are not willing to shell out the extra money to buy a private SSL certificate, you can ask your Web host about Shared SSL. Most web hosts provide Shared SSL for all their clients and it is easy to configure. Using “admin” as your login username is the last thing you want to do. 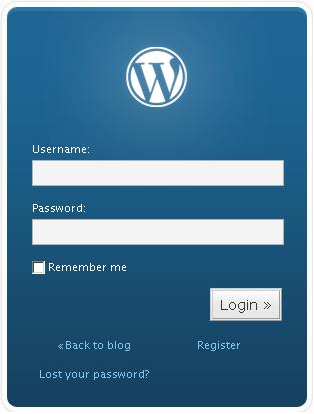 When you first installed WordPress, you should immediately create another administrator account with your own username and password and delete the “admin” account. In most WordPress themes under the <head> section, there is always a line of code showing the WordPress version that you are using. Giving away your WordPress version number means telling the hacker what exploit to use to hack into your site. Since WP2.6.5, WordPress has made it even harder to remove the wp version as it embeds that information within the wp_header tag. A plugin that you can use to remove that information is WP-Security-Scan. I have mentioned this plugin several times, so it is time for me to explain what it does. WP-Security-Scan checks your WordPress for security vulnerabilities and suggests/provides corrective actions. The corrective actions include changing your database prefix, hiding the WordPress version number from the header and allows you to test out the strength of your password. Once in a while, it is a good idea to run the inbuilt security scanner and check your blog for any security invulnerabilities. Not only should you change your password regularly, you must also make sure that it is a strong one. If you have difficulty in creating one, find one how you can create strong passwords that you can remember easily How To Create Strong Passwords That You Can Remember Easily How To Create Strong Passwords That You Can Remember Easily Read More . Needless to say, upgrading to the latest version of WordPress and plugins is the best way to protect yourself. Transferring files to your online account is a common thing to do. However, instead of using the unsecured FTP, you should use SFTP (Secure FTP). This will create a SSH connection and sent all your files encrypted to the server. 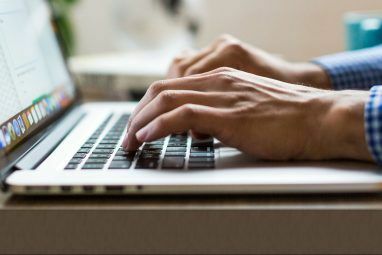 If you need help creating a SFTP connection, here’s the guide. The above information should be sufficient for you to create a secure WordPress blog. If you have not implemented any of these, I would urge you to do so now. What other methods do you use to secure your WordPress blog? Explore more about: Blogging, Data Backup, FTP, SSL, Wordpress, Wordpress Plugins. Just what I was searching for. Found a few I didn't know about, thanks much, now I'm off to do them. Nice article on WordPress security, good work. Tip #9 is rather pointless. The only way php code is visible via a browser is if your php installation is completely borked, at which point you would not even be able to install wordpress (or any other php application) anyway. The only thing you have managed to do is turn a blank page into a "you're not authorized" message. For example, here's a link to the config file for wordpress.org. Not very informative, is it? A better solution is to move wp-config.php out of the web-accessable area on your server, if you are concerned about this issue. Very useful for non technical folks like me and something I intend to implement in the next day or so. I didn't realize it was that easy to find such sensitive information and as you say, every little helps. Good article nice and clearly laid out, thank you. I was wondering how can we prevent DDOS effectively. I'm tired of someone who always DDOS my blog. "well, we all know theirs huge benefits to register a company in Cyprus, lol. My account pointed me to a few blogs on the net which i'm rather reluctant to check out as i've been so busy lately"
Thanks for your compilation of the security requirement. It is very helpful to a blogger like me. Also some items are eye opener for me. Point number 6,11,12 are really great , Thanks a ton damien! LOL WordPress is dead. This is a list of stuff that protects WordPress right now. But what about tomorrow? For multiple instances of wordpress it isn't feasable anymore. If you have to do this much stuff to protect your installation you might as well go back to static html. This is a total joke and WordPress should be sued for the damage they have caused. Damien, (forgive the newbie) could you tell me which plugin could fully password protect a site? As in, I do not want the blog visible to any anonymous users. I want ONLY registered users to be able to view the site, similar to a login page like the first image on this article (how could I set up a login page like that picture?). Suggestions? Thank you!! This will check if the user is logged in. If no, it will redirect the user to the login page. uhm... that would be not smart since changing the header is only ADVICE for "browsers", if I write a script to do bad things I obviously wouldnt listen to that advise and just skip the header relocaton and read the rest of the page. So be sure to put exit; behind the header relocation. I can't visit my site (500), if I implement No.9. Why? I guess I have missed that one. Thanks for informing. Wow, this is one heck of a list. I just grabbed 2 items for use on my blog. Thanks for putting this together. I can tell it took some time. Gonna give CHAP Secure Login and WP-DBManager a try. #9 didn't work for me. I ended up getting an Error 500. Thanks for the post, I've used Security Scan and WP-Database-Backup, but the others are welcome new info. Good article. I'm using some of these methods, but I'll definitely be adding a few from this list to my self-hosted WordPress install. Nice job. Some here that I'm not using. Security Scan is a great plug-in. Highly recommend that one. You are right there. Security scan is at the top of my plugins list.